I used to collect ribbons as a kitten. Pretty, colourful little strips of fabric they were, fun for all occasions and useful when rounding up and lassooing the occasional recalcitrant canine. Now the Folympics have (has?) discovered them in all their lengthy and glorious annoyingness. We in the feline fold, salute and respect your endeavours. Did they actually have ribbons at Rio this year? Well, they did at the Folympics and that’s all that matters, Ginger. 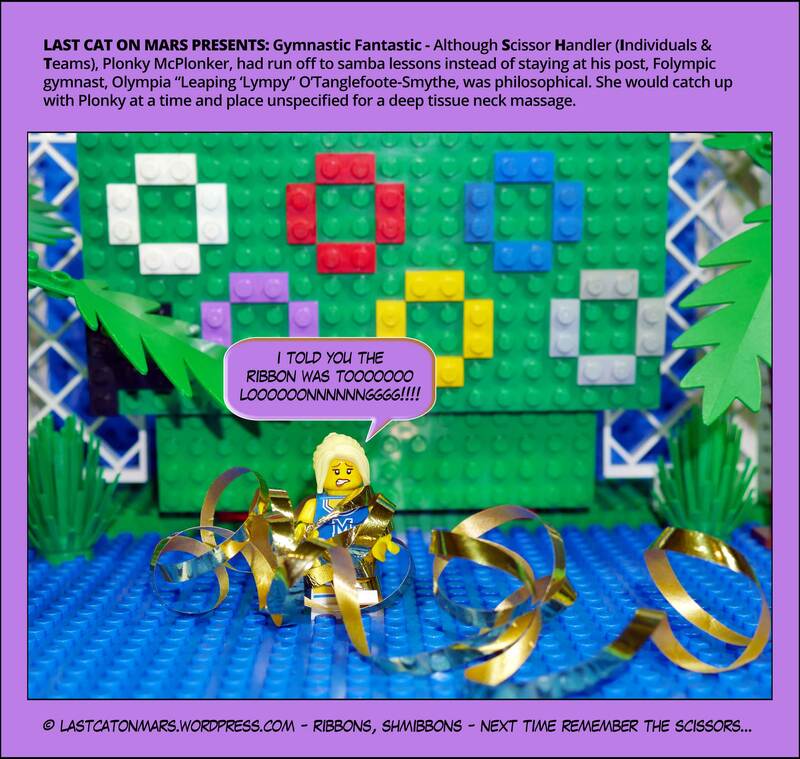 This entry was posted in F-Olympic Games 2016, Special Occasions and tagged cartoon, comic, gymnastics, lego, minifigure, Olympics, ribbon, Rio 2016 on August 16, 2016 by Jay Verney.